WASHINGTON, January 19. /TASS/. 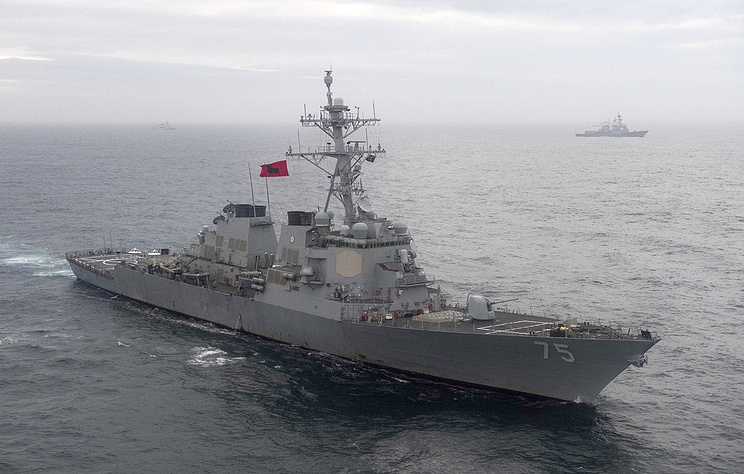 The guided-missile destroyer USS Donald Cook began its transit of the Dardanelles Strait heading into the Black Sea, the US 6th Fleet’s press service said on Saturday. "The Arleigh Burke-class guided-missile destroyer USS Donald Cook (DDG 75) began its north-bound transit of the Dardanelles Strait, en route to the Black Sea Jan. 19, 2019, to conduct maritime security operations and enhance regional maritime stability, combined readiness and naval capability with our NATO allies and partners in the region," says the statement. "The United States and the U.S. Navy continue to stand alongside our allies and partners in support of shared regional interests and maritime stability," the US 6th Fleet said in a statement.